"This is a healthy alternative to flavored bottled water for just pennies per serving." Wash lemons and ginger. Slice lemons; peel and thinly slice ginger. Place lemon slices, ginger slices, and cinnamon sticks in a large pitcher; fill container with water. Store in refrigerator. The amounts of ingredients can be adjusted to suit your taste. The container can be refilled with water as often as you like until the water loses its flavor. 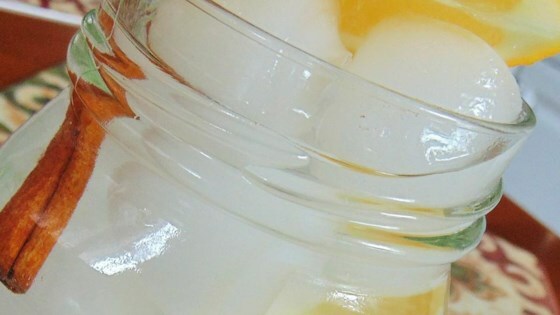 The drink mixture can last up to a week in the refrigerator. THE ginger water was wonderful will make it again! !